Well designed projects make good use of stormwater. 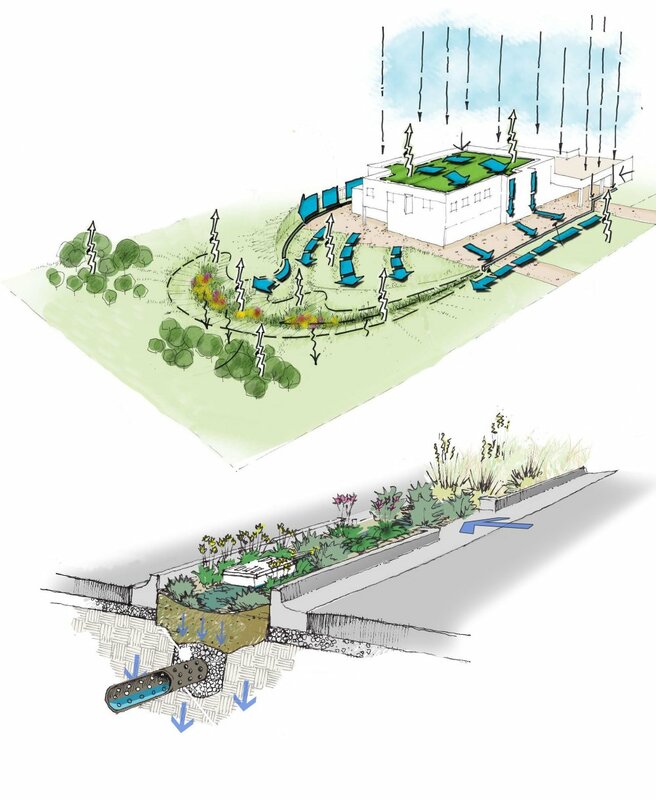 They are designed with an understanding of the natural principles of rainfall and runoff. Thoroughly understanding these processes allows your project to be designed for sustainability and compliance with a mountain of development regulations. You get permits more quickly and you will have long-term cost-savings through sustainability. This is a big change from the way stormwater was engineered a decade ago. Today regulations and environmental responsibility dictate that projects be designed with an easy footprint on the environment. We are engineering consultants that pursue the nexus of natural hydrology and your efficient project design. It is our passion, experience, and mission to help you design better projects. We work with your architect and engineer to create the stormwater design that meets the needs of the project and the requirements of the approving agencies.